ISLAMABAD: Pakistan Muslim League-Nawaz (PML-N) President Shehbaz Sharif on Monday said that his party will continue to raise its voice against electoral rigging both inside and outside the parliament. 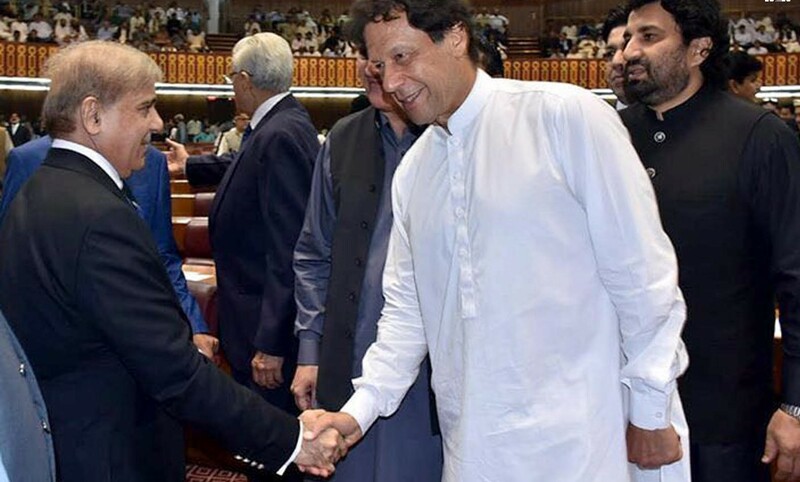 Addressing the PML-N parliamentary party session in the federal capital, he termed the July 25 pools as the most controversial elections in the history of Pakistan. He said that he did not enter the parliament to protect the rigging in the recent elections but to protect the democratic system of the country. The PML-N president said that his party had rejected the elections on the night of July 25 and would continue to raise its voice against electoral rigging both inside and outside the parliament. Shehbaz said that PML-N will demand the formation of a parliamentary commission and will ask for a forensic audit to be conducted. He also congratulated the parliamentarians who took their oaths during 15th National Assembly’s (NA) inaugural session earlier on Monday. He said that he would try his best to fulfill the role for which he has been elected and asked the parliamentarians of other political parties to do the same. PML-N at a parliamentary meeting nominated Hamza Shehbaz for the Punjab chief minister slot on Monday. The party also nominated Gujranwala MPA-elect Chaudhry Iqbal for the slot of provincial assembly speaker.